As you are most likely already aware there was a devastating school shooting in Parkland Florida just this past week. One high school boy managed to take the lives of seventeen students and teachers wounding at least fourteen others, this is becoming all too common here in the US and I am sick of it. 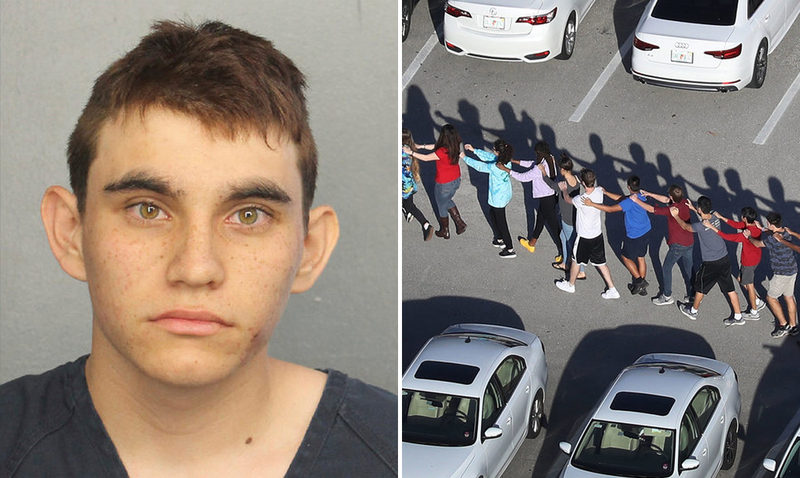 The person responsible for this shooting, in particular, was a 19-year-old named Nikolas Cruz, he much like others in this world and the US specifically thought violence was the only answer to the problems he was facing. Don’t get me wrong, nothing he has done could ever be justified and he deserves to be locked up for good because of his actions, but his actions could have been avoided if things had been different. Corporate media is quick to blame mental illness for all of the problems that occur but to be completely honest mental health while it is a huge issue is not the main cause behind these shootings we have been facing throughout the years. Those with mental illness only make-up about 18 percent of adults and are no more likely to commit violent acts than the rest of us. While there are clear mental health factors in these kinds of things mental health is not the sole cause or the thing we should be placing blame on. Violence is the default reaction most of us take when it comes to being bullied, having people disagree with us, or even when we feel we aren’t being heard properly. Have you ever been around someone who got mad over almost nothing? I have seen people quick to anger far too many times. We get angry and we turn to violence far too quickly. Violence is causing these things to happen whether you want to see it that way or not. Have you ever seen how angry and violent people get when you mention enacting laws they disagree with? Violence is basically all we know. We don’t pay close enough attention to our children or the people around us. We let these acts of violence go ignored. We hear people make threats and assume they are joking until it is too late until they have already done what they were threatening to do. Mass shootings are not something that should be happening. Something needs to be done, we need some kind of shift. Violence is becoming too much a part of who we are as a whole. People with mental illnesses should be getting the care they need, we should not be jumping to violence everytime something we don’t like happens. We have to do better regardless of our mental status, not all shootings happen because of a mental illness. Sure, some people have it worse off and plenty of us have reason to be angry but we should never act on these things in the ways many have. Please if nothing else check out the video below and meet it with an open mind. Things like this are never easy to swallow and should not be happening in the first place.